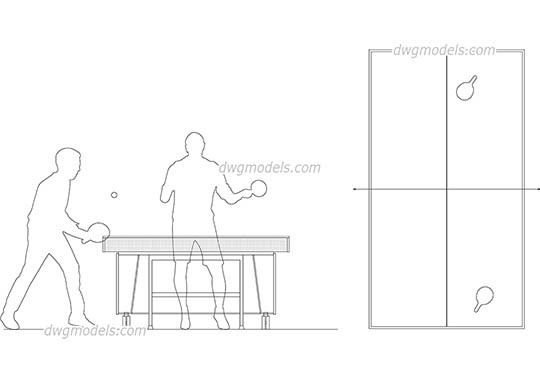 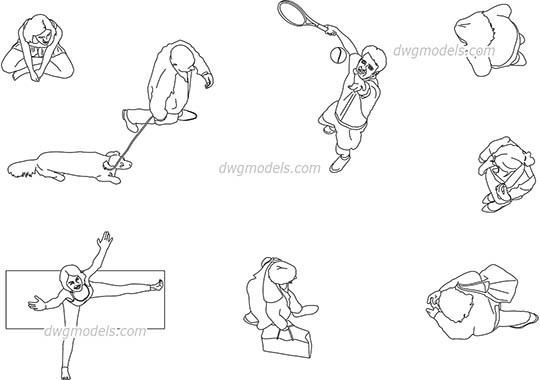 Rules of tennis 2017 - dimension of court in DWG format. 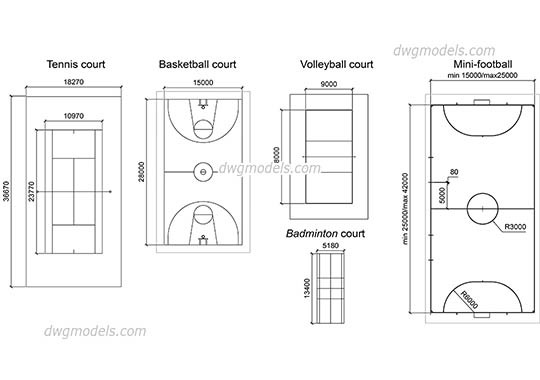 The court shall be a rectangle, 78 feet - 23770 mm long and for singles matches, 27 feet - 8230 mm wide. 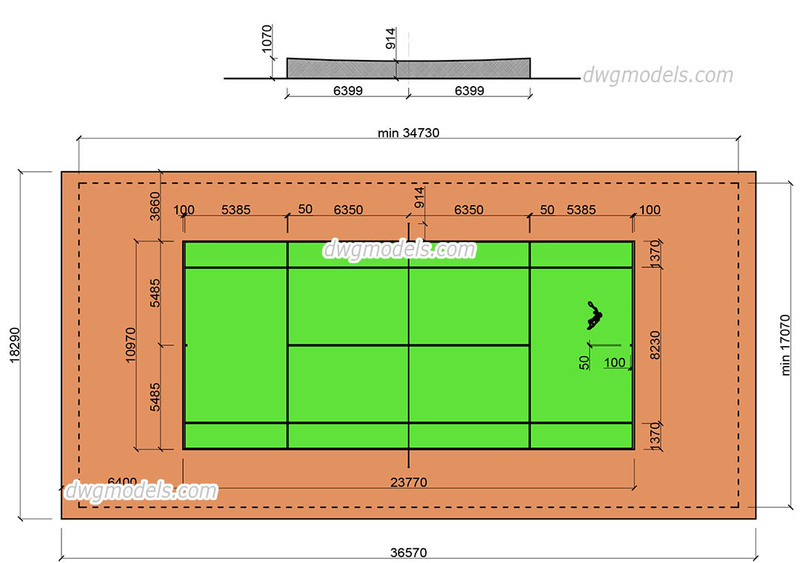 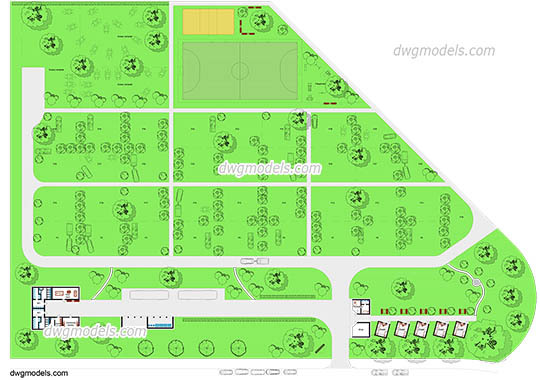 For doubles matches, the court shall be 36 feet 10970 mm wide.